Well! I am soooo excited about a new year long project I am embarking on, and I must admit a little apprehensive at the same time. After completing the 100 days of Mandala project in 2015, I reflected on some of the 10 lessons learnt and have been itching to dive deep into another art project, something I am passionate about, love and is broad enough so I have lots of inspiration to draw from. 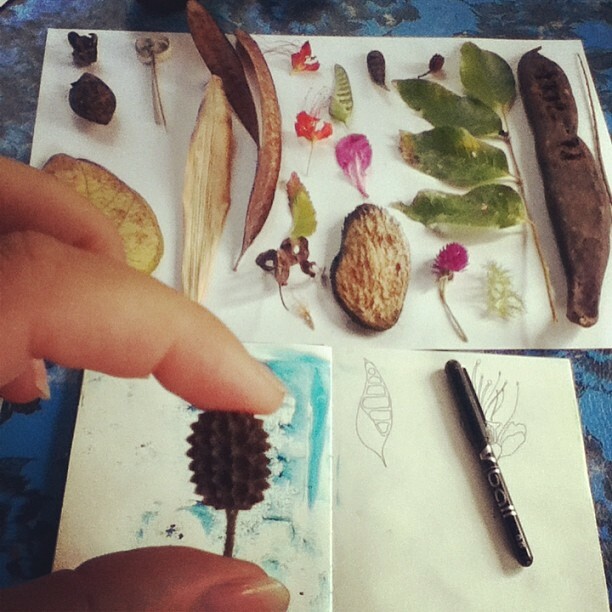 Much of my artwork is inspired by nature and I have been longing to write a creative instruction book and a series of short online classes, inspiring others to create beautiful mixed media nature art, so I hope this 2016 project jumps starts the process for me! Each week in 2016 from Monday 4 January, I’ll be focusing on a particular theme from nature. 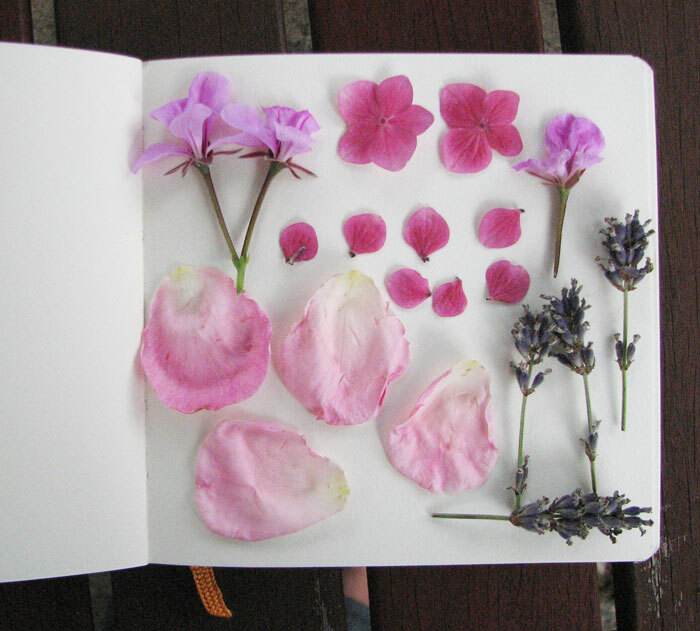 I will pop my photos, sketches and any creations I feel inspired to share up on my Instagram and also my Facebook artist page, using the hashtag #52weeksofnatureart I’ll also do some round ups on the blog to share some of my thoughts, findings and processes. If you would like to join in, share your images on Instagram and use the hashtag #52weeksofnatureart – you can see all of the images shared by others on Instagram so far here. You can also pop on over to join the Facebook group here and post your images there is you prefer. If we have people join in, I’ll also do a lovely showcase on my blog. My intention is to use this daily practice as a way to creativity express my passion for the natural world and get myself outside as much as possible in 2016. There will be no ‘right way’ or ‘wrong way’ but pure creative joy in exploring. So this is my invitation to you to connect with the natural world wherever you may be in the world and join me for one, a few or all weeks, up to you! If you do join in at any point where one of the themes really inspires you, I would love to see, so please do post onto social media using the hashtag, post to my Facebook page or email a picture to me. Of course, if you want to just do the prompts without sharing, that is totally cool too! You may decide to play along later on. The rules are……. there are NO RULES, but here is a little suggestion if you want to play along. Sometimes I love a bit of structure and looseness at the same time! (confused? image how I confuse myself!) I will be posting the prompts up each Monday and some are listed on this page – just to keep the focus a little, however the way I (and you can) interpret the theme will be fluid so there is flexibility and some spontaneity thrown in! The themes will ensure a focus on the starting point for each week, however if you are inspired to do something completely different, please do. 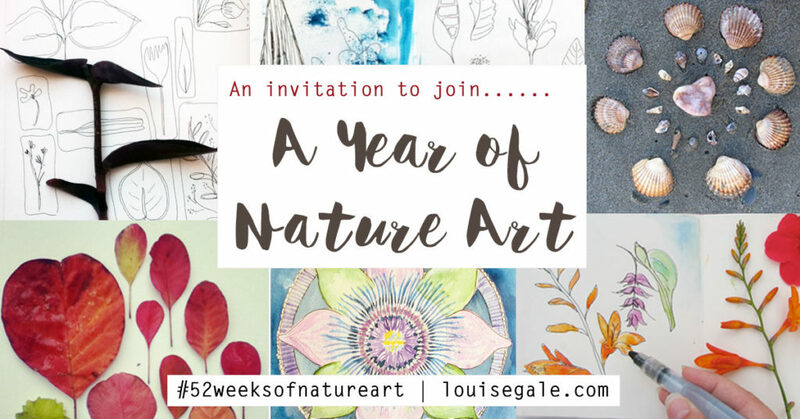 If you do share on your blog or social media, please link back to this post or the Year of Nature Art page here and more people can join in if they wish. I am so excited to dive deep into this and I look forward to sharing my journey throughout 2016. Lots of creative blessings to you! Love to join, will need to do something different when beach ones as 100miles from beach but can substitute I assume. Nice idea. I like to join. Where do you post a new theme every monday? On this blog?